The python-derived entrant in the scientific workbook field is called jupyter. Interactive “virtual notebook” computing for various languages; python/julia/R/whatever plugs into the open “kernel” interface. Jupyter allows easy(ish) online-publication-friendly worksheets, which are both interactive and easy to export for static online use. This is handy. So handy that it’s sometimes worth the many rough spots. 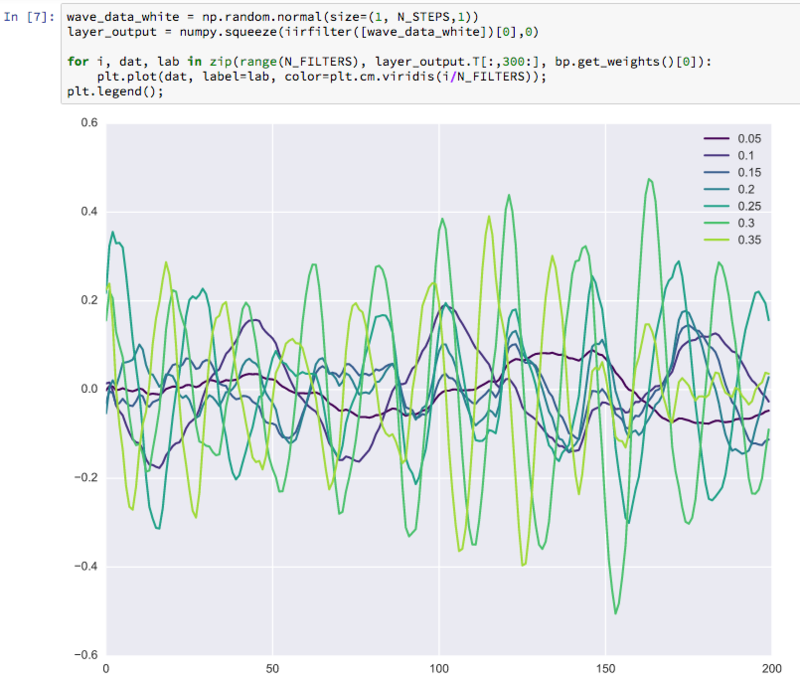 I’m no unequivocal fan of the jupyter notebook interface, which some days seems to counteract every plus with a minus. It’s friendly to use, but hard to install. It’s easy to graphically explore your data, but hard to keep that exploration in version control. It makes it easy to explore your code output, but clashes with the fancy debugger that would make it easy to explore your code bugs. These pain points seem acute for beginners and for experts, but perhaps are not so bad for projects of intermediate complexity, and jupyter seems good at making such projects look smooth, shiny, and inviting. That is, at the crucial moment when you need to make your data science project look sophisticated yet friendly, it help to lure colleagues into your web(-based IDE). Then it is too late mwhahahahah etc. Some argue that the constraints of jupyter can lead to good architecture, such as Guillaume Chevallier and Jeremy Howard. This sounds like an interactive twist on the old test-driven-development rhetoric. I could be persuaded. You dawg, I heard you like notebooks, so I started up your jupyter notebook in jupyter notebook. Because jupyter notebooks (the file format) are a weird mash of binary multimedia content and program input and output data, all wrapped up in a JSON encoding, things get messy when you try to put them into version control. in particular, your repository gets very large and your git client may or may not show diffs. oh and merging is a likely to break things. You can strip images and other big things from your notebook to keep them tidy automatically if you are using git as your version control. This means you lose the graphs and such that you just generated in your notebook. On the other hand you already have the code to generate them again right there, so you don’t want them around anyway, necessarily. See how fastai does this with automated git hooks. Not very well explained, but works smoothly. Try it out. See also nbstripout upon which this hack is AFAICT based and which includes its own installation script. This doesn’t entirely solve the diffing and merging hurdles, but is usually just enough removal of pointless cruft that merging kind-of works. One way you can make your notebooks manageable is to turn them into text. I haven’t tried this myself but it looks like it could be made to behave well and automatically. Wish you could edit [jupyter notebooks] in your favourite IDE? And get clear and meaningful diffs when doing version control? Then… Jupytext may well be the tool you’re looking for! Jupytext can save Jupyter notebooks as Markdown and R Markdown documents, Julia, Python, R, Bash, Scheme, Clojure, C++ and q/kdb+ scripts. Directly from Jupyter Notebook or JupyterLab. Jupytext provides a contents manager that allows Jupyter to save your notebook to your favorite format (.py, .R, .jl, .md, .Rmd …) in addition to (or in place of) the traditional .ipynb file. The text representation can be edited in your favorite editor. When you’re done, refresh the notebook in Jupyter: inputs cells are loaded from the text file, while output cells are reloaded from the .ipynb file if present. Refreshing preserves kernel variables, so you can resume your work in the notebook and run the modified cells without having to rerun the notebook in full. On the command line. jupytext converts Jupyter notebooks to their text representation, and back. The command line tool can act on notebooks in many ways. It can synchronize multiple representations of a notebook, pipe a notebook into a reformatting tool like black, etc… It can also work as a pre-commit hook if you wish to automatically update the text representation when you commit the .ipynb file. Classic jupyter notebook, a browser-based coding environment. The command jupyter notebook starts this mode. jupyterlab, the new thing, extends and redesigns the classic notebook into an IDE with text editors, notebooks, REPL terminals etc. The command jupyter lab starts this mode. hydrogen, a plugin for the atom text editor, provides a more unified coding experience from a normal code editor. See intro blog post. IMO, this kind of thing is a generally better way of doing it. Jupyter shouldn’t have to reinvent text editors. Although my opinions will not dissuade some Quixote from taking it on. vscodeJupyter is hydrogen for VS Code. nteract, a desktop app for running jupyter notebooks as apps, integrating with OS indexing services and looking pretty etc. Not totally sold on this idea because it looks so bloaty, but I would like to be persuaded. pweave, below, also executes jupyter kernels as part of a reproducible document. Julius Schulz’s ultimate setup guide is also the ultimate pro tip compilation. Kill parenthesis molestation (a.k.a. bracket autoclose) with fire. Unless you like having to fight with your IDE’s misplaced faith in its ability to read your mind. The setting is tricky to find, because it is not called “put syntax errors in my code without me asking Y/N”, but instead cm_config.autoCloseBrackets and is not in the preference menus. According to a support ticket this should work. Jupyter classic is more usable if you install the notebook extensions, which includes, e.g. drag-and-drop image support. For example, if you run nbconvert to generate a HTML file, this image will remain outside of the html file. You can embed all images by using the calling nbconvert with the EmbedPostProcessor. Wait, that was still pretty confusing; I need the notebook configurator whatsit. Because I am used to how all these functions work in the browser, it would have be to an astonishing improvement in each of them to be worth my time learning the new jupyterlab system, which after all, I am not using for its quirky alternate take on tabs, cut-and-paste etc, but because I want a quick interface to run some shareable code with embedded code and graphics. Needless to say, large UX improvements are not delivered, but rather, we get some unintuitive trade-offs like a search function which non-deterministically sometimes does regexp matching but then doesn’t search the whole page. Or something? Some jupyterlab enthusiasts want to re-implement text editors too. Much artisinal hand made crafts! Whether you like the overwrought jupyter lab UX or not, we should all live with whatever NIH it has, if the developer API is truly cleaner and and easier to work with. That would be a solid win in terms of delivering the interactive coding features I would actually regard as improvements. In the meantime, I will withstand fussy search-and-replace and Yo dawg I heard you like notebook tabs so I put notebook tabs in your notebook tab etc. Personal peeve: As presaged, jupyter lab molests brackets, compulsorily as test of your faith per default. I try to keep the use of these to a minimum as I have a possibly irrational foreboding that some complicated death spiral of version clashes is beginning between all the different juptyer kernel and lab and notebook installations I have cluttering up my hard disk and it can’t improve things to put various versions of lab extensions in the mix can it? And I really don’t want to have to understand how it works to work out whether that is true or not, so please don’t explain it to me. Anyway there are some very useful ones, especially the table of contents, so let’s live with it by running install and update commands obsessively in every combination of kernel/lab/whatever environment in the hope that something sticks. Life is easier with jupyerlab-toc which allows you to navigate your lab notebook by markdown section headings. Integrated diagram editor? Someone integrated drawio as jupyterlab-drawio to prove a point about the developer API thing. One nerdy extension is jupyter-matplotlib, aka, confusingly, ipympl, which integrates interactive plotting into the notebook better..
return "<h1>" + self.text + "</h1>"
I leverage this to make a latex renderer called latex_fragment which you should totally check out for rendering inline algorithms, or for emitting SVG equations. jupyter looks for kernel specs in a kernel spec directory, depending on your platform. How to set up jupyter to use a virtualenv (or other) kernel. Addendum: for Anaconda, you can auto-install all conda envs, which worked for me, unlike the ipykernel method. For computers on Linux with optimus, you have to make a kernel that will be called with optirun to be able to use GPU acceleration. For me this was in fact primusrun. Here is a base latex template for your academic use. You might want to amke verious improvements, such as tweaking the reveal.js settings in jupyter slideshows Fancier again: interactive slideshows using RISE. If you aren’t running a coding class, you will want to hide the input cells from your IPython slides by customising the output templates. my blog – using simple Zotero markdown citation export, which is not great for inline citations but fine for bibliographies, and very easy and robust. my papers – abandinging jupyter in favour of Pweave+pandoc, which works amazingly for everything if you use pandoc tricks for your citations. I couldn’t find a unified approach for these two different use cases which didn’t sound like more work than it was worth. At least, many academics seem to have way more tedious and error-prone workflows than this, so I’m just being a fancy pants if I try to tweak it further. Documented by Max Masnick. Whee, executable markdown pages. Sylvain Deville recommends treating jupyter as a glorified markdown editor and then using pandoc, which is an OK workflow if you are producing a once-off paper, but not for a repeatedly updated blog. As above, it helps to know how the document templates work. Note that even in the best case you don’t have access to natbib-style citation, so auto-year citation styles will look funky. Speaking of custom templates, the nbconvert setup is customisable for more than latex. Julius Schulz gives a comprehensive config for this and everything else. This workflow is smooth for directed citing, but note that there is no way to include a bibliography except by citation, so you have to namecheck every article; and the citation keys it uses are zotero citation keys which are nothing like your bibtex keys so can’t really be manually edited. So it supports natbib-style author-year citations! But it’s a small, unmaintained package so is risky. TODO: Work out how Mark Masden got citations working? Jupyter allows interactions! This is the easiest python UI system I have seen, for all that it is basic. External event loops are now easy and documented. What they don’t say outright is that if you want to use the tornado event loop, relax because both the jupyter server and the ipython kernel already use the pyzmq event loop which subclasses the tornado one. Now, your asynchronous python should just work using tornado coroutines. NB with the release of latest asyncio and tornado and various major version incompatibilities, I’m curious how smoothly this all still works. As seen in art python. Jupyter can host online notebooks, even multi-user notebook servers - if you are brave enough to let people execute weird code on your machine. I’m not going to go into the security implications here. NB: This section is outdated. TBD; I should probably mention the ill-explained Kaggle kernels and google cloud ML execution of same, etc. Base level, you can run one using a standard a standard cloud option like buying compute time as a virtual machine or container, and using a jupyter notebook for their choice of data science workflow. sagemath runs notebooks online, with fancy features starting at $7/month. Messy design but tidy open-source ideals. Anaconda.org appears to be a python package development service, but they also have a sideline in hosting notebooks. ($7/month) Requires you to use their anaconda python distribution tools to work, which is… a plus and a minus. The anaconda python distro is simple for scientific computing, but if your hard disk is as full of python distros as mine is you tend not to want more confusing things and wasting disk space. update the c.NotebookApp.iopub_data_rate_limit to be big, e.g. c.NotebookApp.iopub_data_rate_limit = 10000000. This is fixed after 5.0.